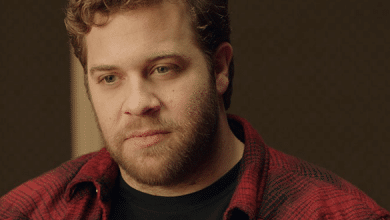 Seeing his family’s life portrayed the first time on the big screen – warts and all – was “odd” for MercyMe’s Bart Millard but, perhaps surprisingly, not too difficult. 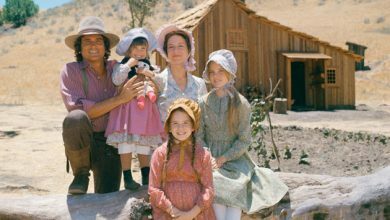 The story of Millard’s childhood and young adult years was the focus of this year’s hit movie I Can Only Imagine (PG), which shocked Hollywood by finishing in the top four during its first three weekends and ending its run with more than $83 million, making it the sixth highest-grossing movie of all time. It was released on DVD and streaming platforms in June. Millard said he’s been public about the relationship between he and his father, who abused him as a child before coming to Christ later in life. He died shortly thereafter. 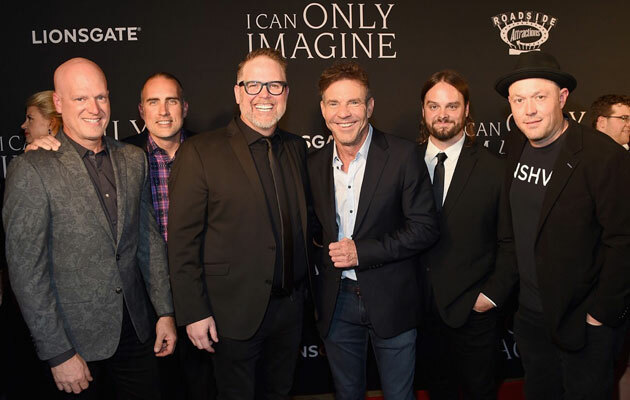 “It wasn’t hard [to watch on screen] just because I’ve been sharing my story and using the stage as therapy for 23 years, and I’ve told some version of this story for at least 18 years,” Millard told a room of faith reporters, referencing the 2001 single release of the song I Can Only Imagine. That song and other MercyMe tunes, such as Dear Younger Me, helped him work through those complicated emotions. At one point in his life, Millard hated his dad. But they became great friends after his father repented – to the point that Millard could say he truly loved him. Yet that doesn’t mean it was easy for Millard to watch the movie being filmed. The first scene he watched on set involved his father – played by Dennis Quaid – being told he has cancer. Advice from Quaid helped Millard grow comfortable with the film. Millard said Quaid told him: 1) keep some stories about his father’s life private – that is, don’t reveal everything in the movie about his personal life, and, 2) let the filmmakers do their job so that the movie flows and is entertaining. “As long as the spirit of the movie is there and the redemption story [is there], let them do what they need to do,” Quaid said, according to Millard. The “harsher things” in the movie – the arguments and battles with his dad, for example — are “pretty much incredibly true,” Millard said. Wanting accuracy with the character, Quaid would approach Millard on set and say about a specific line or scene: “What would your dad think? “He knew there were some [scenes] that were more emotional than others for me,” Millard said. Other parts of his life had to be rearranged in the film to compact the timeline and make it fit within two hours. Millard has enjoyed the impact the movie has had on others. After he screened it the first time with an audience, male moviegoers approached him.